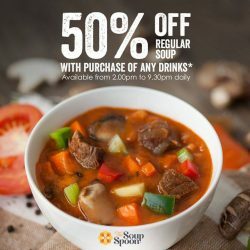 [The Soup Spoon] Take 50% off any regular soup! Take 50% off any regular soup! | Simply purchase a drink* from 2pm to 9.30pm to enjoy 50% off any regular soup! Simply flash this visual on your mobile to enjoy the offer. While stocks last! Take 50% off any regular soup! | Simply purchase a drink* from 2pm to 9.30pm daily to enjoy 50% off any regular soup! Flash this visual on your mobile to enjoy the offer. While stocks last! *Drinks includes Home-Brewed Iced Lemon Tea, Iced Hibiscus Tea, Cold Pressed Juices. [The Soup Spoon] Monday | How about having a bowl of salad after a weekend of feasting? Monday | How about having a bowl of salad after a weekend of feasting? 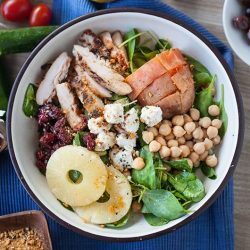 Drop by The Salad Fork for wholesome salad or wrap by playing around with over 30 fibre, protein, carbs and homemade dressing options. All freshly prepared daily in our MSG-free, pork-and-lard-free kitchen. The Salad Fork is available at The Soup Spoon Union outlets - NEX, White Sands & Raffles City. 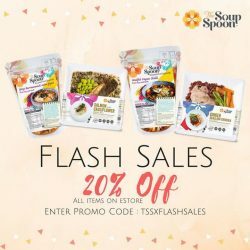 [The Soup Spoon] Who’s ready for a flash sale? Who's ready for a flash sale? | Enjoy the comfort of having our soups and Ready-to-eat Meals at home with 20% discount on our eStore, now till 21 January! Head over to our eStore now: http://www.thesoupspoon.com/estore-order/ T&Cs apply! [The Soup Spoon] 50% off 2nd Soup! 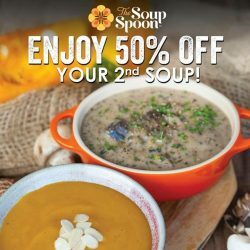 50% off 2nd Soup! | Yes, you heard us right! Simply flash this social media visual to enjoy your second soup at half the price! Promotion is valid for 13 and 14 Jan 2018 at all The Soup Spoon and The Soup Spoon Union Outlets except KTPH, KIdzania, NTU and CN Cafe. [The Soup Spoon] Exclusive eStore Deals | Collagen naturally supports healthy skin elasticity, moisture and smoothness, as well as a more restful sleep! 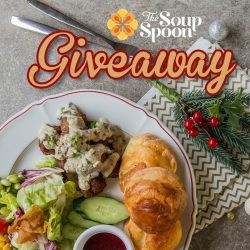 [The Soup Spoon] Christmas Giveaway 5 | We know you are loving The Soup Spoon Union’s Christmas Menu this year! Christmas Giveaway 5 | We know you are loving The Soup Spoon Union’s Christmas Menu this year! So, how does a complimentary meal for you and your foodie buddy sound? 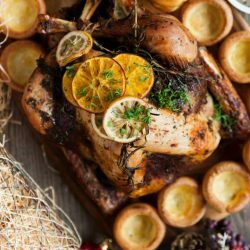 We are spreading the love with a Christmas Union Set Meal for two! 3. Tag a friend and share this post (set as public). Swing by The Soup Spoon Union for a meal first if you can’t wait! 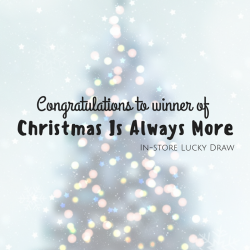 In-Store Lucky Draw Results | We know you have been eagerly waiting for this - the results of our in-store Lucky Draw! Congrats to Liu Xiao Ning 🙂 Thank you for your soupport! Simply purchase any Christmas menu item or SouperChef Specials and your receipts in-store to qualify for our second round of lucky draw! surprise spin to the usual holiday flavours. 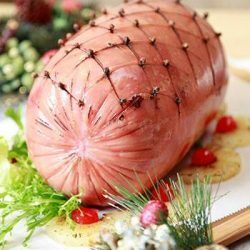 Your merry menu is all set to celebrate traditions and inspirations this Christmas. We're also giving away 4 Take-Home Soup Packs with every Purchase of Peace Set! 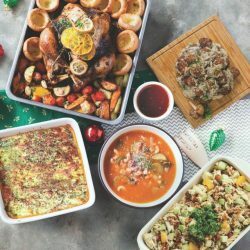 [The Soup Spoon] Exclusive for DBS/ POSB Cardmembers | Celebrate the holiday traditions with our seasonal jolly menu! 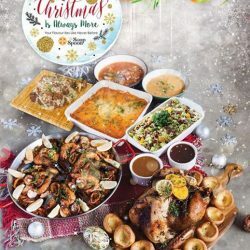 Exclusive for DBS/ POSB Cardmembers | Celebrate the holiday traditions with our seasonal jolly menu! Receive 20% off (min. $80 spend) and additional $20 The Soup Spoon Voucher when you pay with your DBS/POSB Card. Simply enter promo code XMS17 followed by the first 6 digits of your DBS/POSB card no. during checkout! 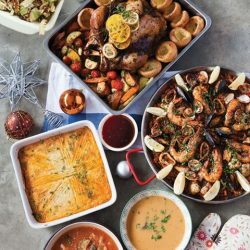 [The Soup Spoon] Lucky Draw | Your final chance to win a Christmas Feast worth $368 delivered right to your door step! splendour and surprise for your sprightly party of 15. Receive 6 Take-Home Soup Packs with every Purchase of our Love Set! [The Soup Spoon] Do not miss it! [The Soup Spoon] Cherry Limeade Smoothie | Can you smell the sweetness of the weekend? 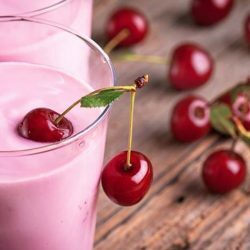 Cherry Limeade Smoothie | Can you smell the sweetness of the weekend? We promise you'll want to wake up for this! Grab the ingredients tonight and simply blitz them in a blender tomorrow morning! Cheery colour, cherry goodness! Look out for the free recipe card when you purchase any Taste New Zealand SouperChef Specials! [The Soup Spoon] It Starts Here | Do you know how the story of New Zealand begins? 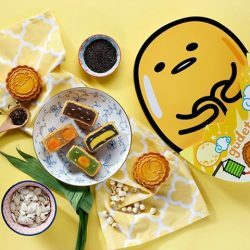 [The Soup Spoon] 1-for-1 Gudetama Mooncakes Promotion | The kawaii lazy egg makes the full moon brighter! 1-for-1 Gudetama Mooncakes Promotion | The kawaii lazy egg makes the full moon brighter! From 18 Sep onwards, each gift set of four flavours is going 1-for-1 at only $78! Or purchase one box at a discounted price of $50! Each set comes in four eggs-quisite flavours: Double Yolk White Lotus, Single Yolk Pandan, Pu Er Tea and Full Moon Grandeur. Only available at The Soup Spoon, Joe & Dough and Gudetama Café Singapore! While stocks last so grab them now! [The Soup Spoon] Cheddarlova Recipe | How pretty are these! 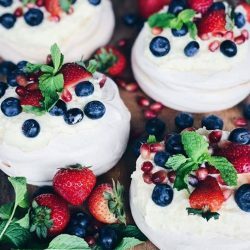 Cheddarlova Recipe | How pretty are these! And what if we tell you this is a computer-chef creation? 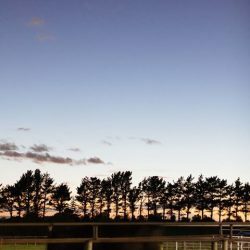 Cheddarlova is the brilliant result of a collaboration between Fonterra and IBM’s 'Watson' Artificial Intelligence technology! Watson, the AI, created a recipe based on some 10,000 recipes in U.S. Magazine Bon Appétit's database, nutritional information and food molecular structures. The aim was to create a dish that would please the palates and profiles of the tasters working in Auckland’s Wynyard Quarter area. Chef Keith McDonald from Fonterra added the human touch by fine-tuning and testing the recipe, a unique riff on the classic Kiwi pavlova. We’ve adapted it a little further with different cheese and fruits. Look out for the free recipe card when you purchase any Taste New Zealand SouperChef Specials! 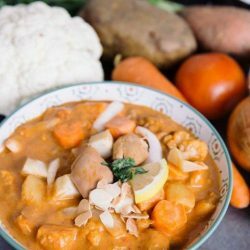 [The Soup Spoon] Taste New Zealand Round 1 Launch | It’s here! Taste New Zealand Round 1 Launch | It's here! Today marks the start of an 8-week long campaign featuring the beautiful land of New Zealand, together with our valued partner, Anchor! Stand to win air tickets for two to New Zealand and The Soup Spoon dining credits when you purchase any Taste New Zealand SouperChef Specials. And if you enjoy some fascinating stories and glorious pictures, our e-magazine is available for download, for free! Come Taste New Zealand now! [The Soup Spoon] Sneak Peek | You know where our SouperChef Specials are going to take you to this Thursday! Sneak Peek | You know where our SouperChef Specials are going to take you to this Thursday! And we know you are going to be in a great moo-d when you see what we have in store for you! 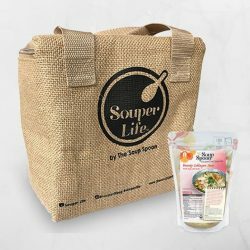 8 weeks of debut SouperChef Specials, giveaways, lucky draw, Instagram contest, recipe cards, discounts and more! Stay tuned for our launch on Thursday, 7 September! [The Soup Spoon] Last Day| What an August! Last Day| What an August! A full month of all things from our Little Red Dot and to be honest, it still doesn't feel quite enough. 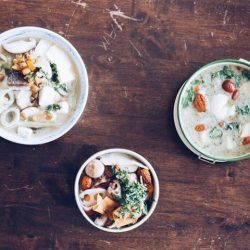 We haven't had our fill of Soul-Good Mullet Soup Teochew Style, Chicken Soup for the SG Soul and Watercress and Roasted Pear with Red Dates! Like you, we are going to savour them for the last time today. Thank you for appreciating our little island with us. May our SouperChef Specials and promotions be a timely reminder for us to be thankful for the little blessings we enjoy, and remember, #supportlocal! 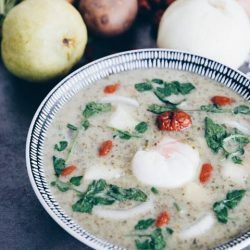 [The Soup Spoon] Egg Story from N&N Agriculture| You simply have to know this – these are Singapore’s only pasteurised eggs! Egg Story from N&N Agriculture| You simply have to know this - these are Singapore's only pasteurised eggs! 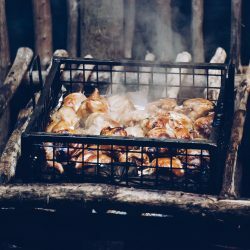 High-tech local farm, N&N Agriculture's overriding emphasis on food safety has led to the fruition of Egg Story - fresh eggs that are pasteurised to kill Salmonella or Bird Flu viruses that may reside in or out of the eggs. The eggs undergo stringent pasteurisation using multi-patented technology from USA, resulting in fresh eggs that are beneficial for individuals with lower immunity, healthier with lower cholesterol and high in Omega 3 & 6 and Vitamin D3 or E. That's a mouthful of benefits, we know! And The Soup Spoon is proud to be using only eggs from N&N! Enjoy the poached eggs as a condiment in our Watercress and Roasted Pear with Red Dates! For more information on Egg Story, find Egg Story on Facebook or check out their website http://www.eggstory.com.sg!